Meet the new head of the United Nations panel on Human Rights: the Kingdom of Saudi Arabia. Abby Martin takes us inside the brutal reality of this police-state monarchy, and tells the untold people's history of resistance to it. With a major, catastrophic war in Yemen and looming high-profile executions of activists, The Empire Files exposes true nature of the U.S.-Saudi love affair. With 261 billion barrels of crude oil lying beneath its soil, Saudi Arabia remains the lynchpin in the international oil grab presided over by the four horsemen; Shell, Chevron, British Petroleum, Exxon. As of 1990 Aramco (Arabian American Oil Company) produced over 8 million barrels of crude oil a day, ensuring the Saudi role as "swing producer". During the 1991 Gulf War Aramco underwent another expansion and now cranks out an unprecedented 10 million barrels a day. Aramco's primary construction contractor is Bechtel, a San Francisco-based private company that is the largest engineering firm in the world. 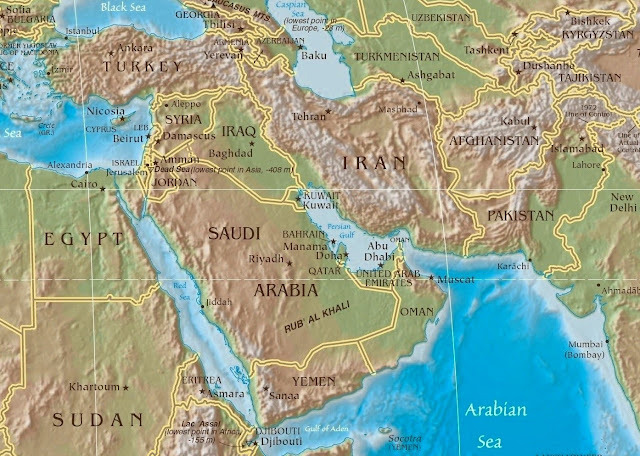 In 1981 the US and Saudi governments spearheaded an effort to create the Gulf Cooperation Council (GCC), consisting of Saudi Arabia, Kuwait, Qatar, Bahrain, Oman and UAE. All except Oman are members of OPEC. The elite families of the six GCC nations; Saudi Arabia, Kuwait, Qatar, Bahrain, Oman and UAE are heavily invested in Western economies. High volume crude oil production keeps this investment capital flowing to Wall Street while allowing the GCC elites to live opulent lifestyles, in this way the volume of oil production is much more important than the price received for the oil for Western bankers and the GCC monarchs alike. Western leaders support this repressive Saudi regime because it has a lot of oil yet it has toppled other oil producing nations and seized their assets for far, far less...so what is it about Saudi Arabia that allows our western governments to keep this repressive mobster regime in power? Maybe it is because they also do not value human life and are of mobster mentality. After all birds of a feather flock together, or in this case, common cancer will metastasize together. If people all over the world were to rise up and call out their governments to stop supporting this inhuman regime I do believe we would see an end to it...because to continue supporting this regime is to allow terrorism, butchery, and rabid evil to have a free hand all over the world, including all the European states that are experiencing terrorist attacks right now...Rise up and DEMAND an IMMEDIATE cessation of relations with Saudi Arabia! See the following post for additional details and information, “The Rise and Fall of the House of Saud”.